Volume III of the Doorway Paper Series is both an anthropological and a biblical study of man as a child of Adam and as a child of God. It is a study of human nature and how it can and cannot be changed. Christian conversion is unique. While a person does become a new creation in Christ, he/she is still recognizably the same person. Scripture states quite precisely (using specific terms consistently) what part of our personality is untouched and what part is completely displaced. 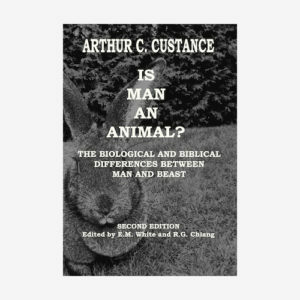 Custance delineates these parts by engaging the research in psychology, genetics, and anthropology to illumine Scripture without changing Scripture what-so-ever. Spiral bound, 8.5×11 inch format.